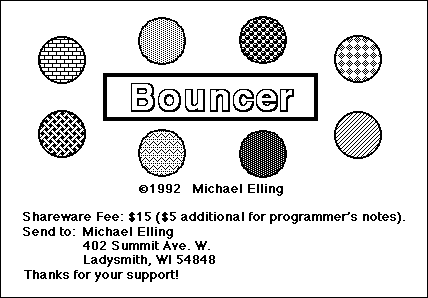 Bouncer exists somewhere between Breakout and billiards. The goal is to knock ball pairs together using a paddle. It’s a straightforward game with some of the skill of pool because of a few complexities in its controls, but those controls are less intuitive than they should be. 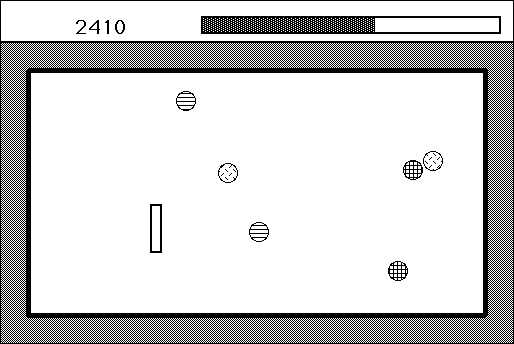 You control a Pong-style paddle with the mouse; you can push the balls around when the mouse button is held. Pressing the arrow keys turns the paddle to face whatever direction you’re hitting. If you strike a ball close to the end or side of the paddle, it adds spin, allowing you to curve around other balls to match pairs. Usually, you can make most connections in one or two shots. You could feasibly save time and make better shots with a deeper understanding of how to add spin to balls, but it’s difficult to predict. Randomly knocking things around usually yields comparable results, so you can ignore that part of the game and still play it fine. Adding spin always feels clever, though. You wish the game could be clearer about how to use that mechanic. Bouncer has simple enough ambitions that it isn’t a bad game. 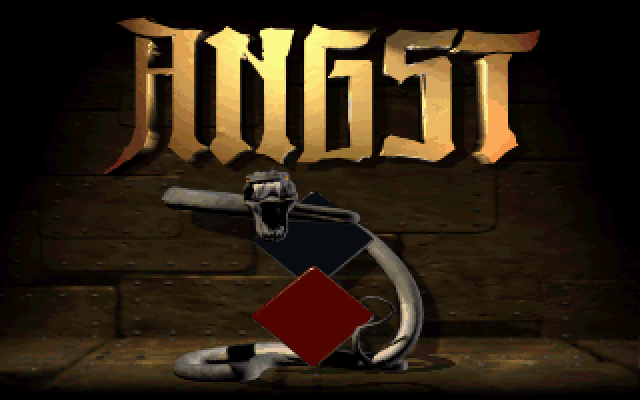 It’s a short, easy time-waster, and its controls don’t click as well as they should. That’s alright for the one or two times you’ll play it. Nothing can prepare you for how terrible Angst: Rahz’s Revenge is. Every second of this game is the worst. It is impossibly bad.